IT'S DOUBLE SWISS REWARD POINTS AUGUST! It's that time again! 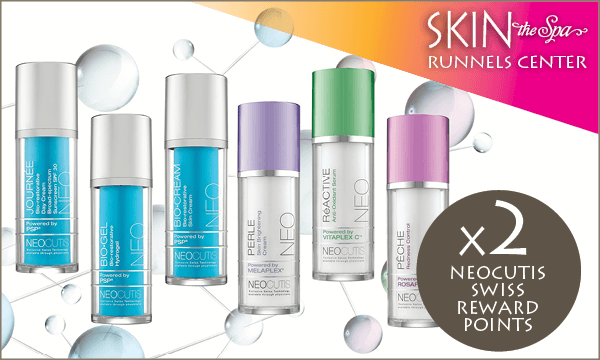 Update your skincare regimen for Fall or restock on your NEOcutis favorites and earn x2 Swiss Rewards Points from SKIN the Spa at Runnels Center for qualifying purchases of NEOcutis Products through August 31, 2018!